The nursery cushion that really is the cherry on top! My love for cushions can’t be underestimated, I adore them nearly as much as I also love a fantastic ice cream topping, so that’s an easy measure of my pure delight when these two worlds collided and I feasted my eyes upon this soft cherry gem from The Land of Nod. 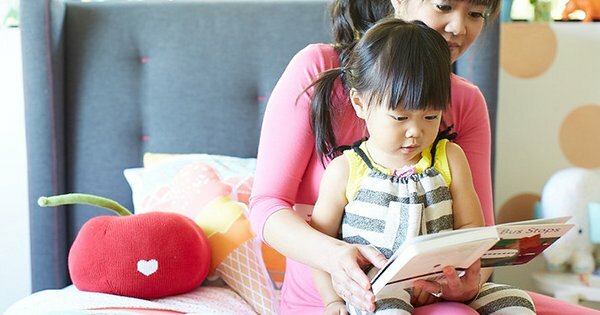 The perfect addition to any child’s bedroom, the Cherry Knit Throw Pillow is designed by Joy Cho for her Oh Joy! 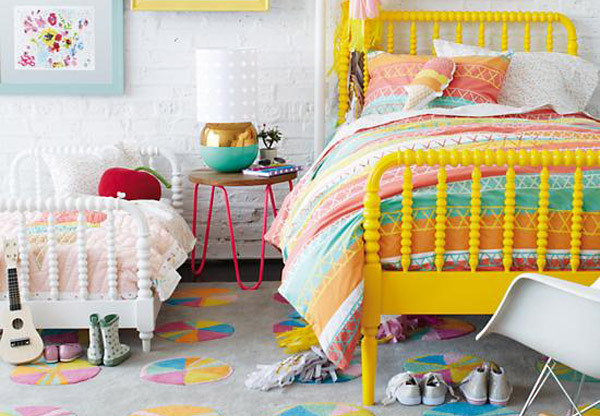 For Nod range at The Land of Nod. It is a sweet as can be accessory to perch upon a beautifully made bed or cosy up with in a nursery chair. 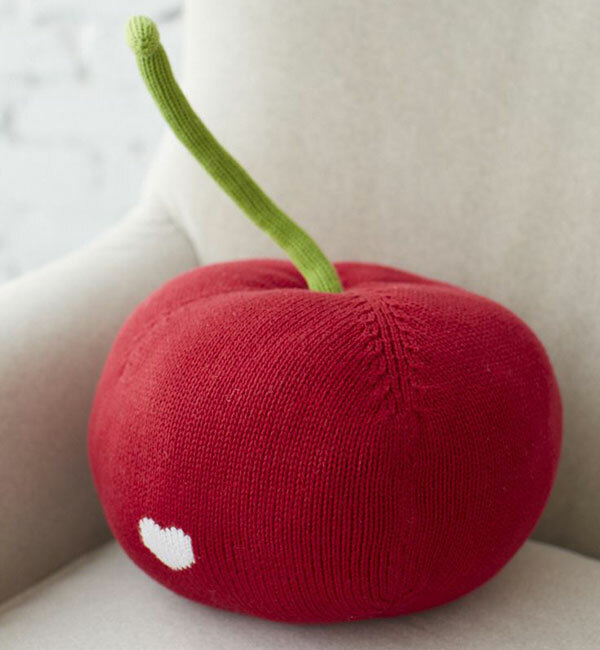 Made from pure cotton, this cherry is a generous size and comes complete with heart shaped shine spot. The Cherry Knit Throw Pillow coordinates marvellously with Oh Joy! For Nod’s Sundae Best Icecream range of bedding. The Cherry Knit Throw Pillow is priced US$39 and available form The Land of Nod which will ship to Australia on request. Just contact them for a shipping quote prior to finalising your order.